My favorite book of the past 5 years. There is Thorn, a shaman himself. He lives to pass down his wisdom and his stories - to teach those who would follow in his footsteps. There is Heather, the healer who, in many ways, holds the clan together. There is Elga, an outsider and the bringer of change. And then there is Loon, the next shaman, who is determined to find his own path. But in a world so treacherous, that journey is never simple - and where it may lead is never certain. 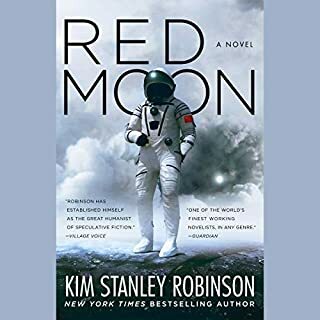 With Galileo’s Dream, Kim Stanley Robinson crafts an instant masterpiece that blends epic adventure and thoughtful alternate history. Ganymede, a rebellious Jovian, attempts to bring famed scientific mind Galileo forward in time to alter the course of history with astonishing results. On the North Pole of Pluto there stands an enigma: a huge circle of standing blocks of ice, built on the pattern of Earth's Stonehenge - but 10 times the size, standing alone at the farthest reaches of the Solar System. What is it? Who came there to build it? The secret lies, perhaps, in the chaotic decades of the Martian Revolution, in the lost memories of those who have lived for centuries. Now we approach our new home. I'm a longtime fan of Robinson... and this is one of his best. It's not often I wish I could unhear a book just to have the pleasure of hearing it again. Aurora is a slow meditation on not only the physics, engineering and biology involved in space travel, but also on the psychology behind the desire to explore and escape. Really lovely writing and narration. This book tells the story of the first generation ship heading to establish human life in the Tau Ceti star system. 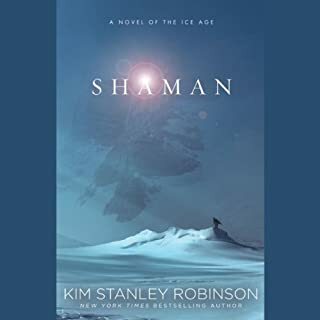 The story of the long journey and the things that happen to the society on the ship and the evolution of the ship itself is compelling and enjoyable. I did not rate the book higher for two reasons though. First, the frequent references to a handful of scientific and philosophical concepts starts to grate after a while. I heard phrases like “the halting problem” and “Zeno’s paradox” way too many times. Perhaps this was an effort to indicate the big-brainedness of the AI’s evolving thought patterns. If so, though, I got the point the first few times. Second, the ending was too “literary” for my tastes. What was its point? What was I supposed to take away from that final scene? Hey, author! Please be less subtle next time and throw dummies like me a bone! I loved this book, and absolutely hated it at the same time. Seems like KSR is tired and jaded for sci fi. Maybe he's just getting old. Either way, this novel seems like an indictment of all his past grand explorations and world creations. A call to remember the earth and to stop yearning for new worlds. Hmm. Can't say I agree. What I can say is that the novel is just as wonderfully written and exquisitely detailed as his other works. No one could ever doubt Robinson's scientific prowess and his unflinching commitment to hard facts. It deserves all the stars I gave it even though I really didn't like the story at all. The only good thing I can say about this credit was Ali Ahn. She is excellent at capturing nuance and inflection. I will definitely give her work more effort and allowance in my audio library. However this 'novel' was terrible. It wasn't interesting, there was no activity and no real reason for me to keep listening - so I didn't. What could barely be considered a story was told on a 12 grade level - it was very immature. I will think twice before I give this author any more of my hard earned credits. 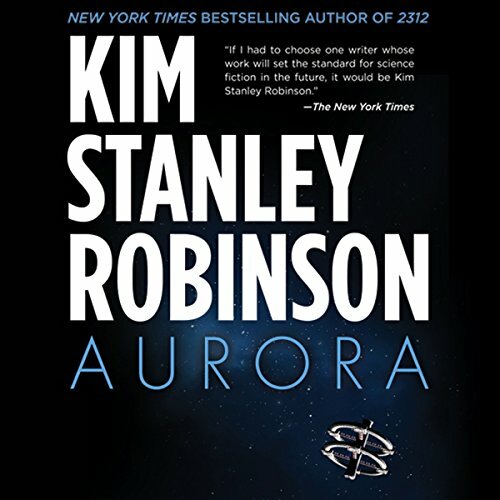 What did you like best about Aurora? What did you like least? I love the premise of the novel - man reaching another inhabitable planet, only to have to return back to Earth hundreds of years later. I also enjoyed the interactions between the humans and the computer. Unfortunately, this is a story that could have been condensed 25% - especially the second half of the book. I also found the narration oddly irritating - when the narrator used a monotone to represent the ship's computer speaking/thinking. 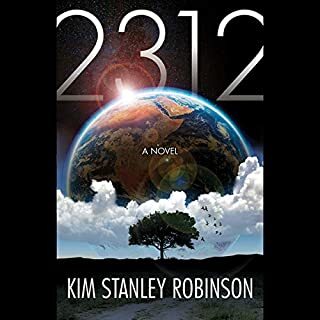 Would you be willing to try another book from Kim Stanley Robinson? Why or why not? Yes - absolutely. My only complaint was the length of the book (and I normally like longer books; this just had too much filler). I normally like Ali Ahn a lot; However, the choice to use a monotone for the ship computer dialog was a turn-off. Was Aurora worth the listening time? "Wherever we go, there we are." 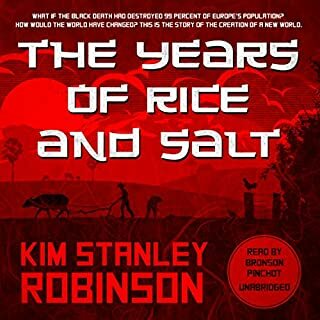 -- I can't imagine being born and raised on a starship six generations after it left Earth, but Kim Stanley Robinson can. Unlike their distant ancestors who volunteered for this mission, the space travelers we meet bound for Aurora have no choice but to be where they are, fighting to get to a habitable planet before they run out of food, fuel, and time. We experience some of the psychological burden of a lifetime spent on a spaceship, and come out at the end of the journey appreciating our home planet for the treasure that it is. Like Robinson's other books, this one is rich with both scientific and emotional detail. I grew to care deeply about the characters, and didn't want to stop listening. 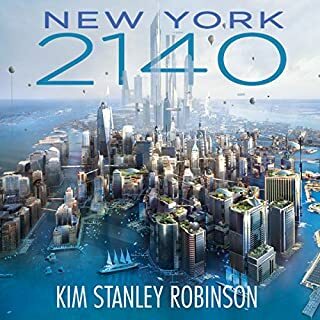 Kim Stanley Robinson is a brilliant writer. Each of the shifting narrative perspectives he used to tell this story was expertly done... But most were not engaging. There is a little something for everyone in this book. Everyone will find a part they will enjoy. But most parts they won't. This book is based on good research and is filled with fascinating ideas. The author's intent was carried out perfectly. But his intent simply wasn't a good idea. This is a long essay about why space travel may be impossible, filled with great ideas that made me thing. Most of this book simply wasn't an engaging read, despite being filled with awesome ideas. After having listened to this book, I probably should relax my mostly non-fiction only rule. I would say this was probably the best book I've listened to all year. In the future when they decide to build a spaceship to travel across space to a faraway distant earth like planet for possible colonization, the planners should definitely read this book and have contingency plans which cover the situations that arise in this book. The author blew me away with what the real problems will be and opened my mind to possibilities I never thought about. 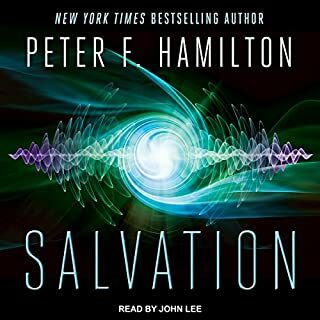 So, not only is the science, the artificial intelligence, the sociological implications, and a host of other situations spot on in this book, the science fiction narrative keeps the listener glued to the story (in addition it was a marvelous narrator). I listened intently during the science parts and my wife listened intently during the other parts, and both of us were completely satisfied and thought this was a superior story. One thing about the story I would like to clue into the listener (like me) who struggles with following fiction, there is a theme the author presses, 'our ideas give us our meaning' and make us who we are, and what we believe in can be as important as our experiences. Absolutely, it has great ideas, a well-developed central character, and heaps of entertaining techno-babble. What was one of the most memorable moments of Aurora? The ship's AI developing its own identity - that alone could have been the central focus of the story. Which character – as performed by Ali Ahn – was your favorite? Her female characters were spot on - especially the voice of Freya, and how she aged it throughout the story. Her young male voice was a bit samey, to the extent that it was confusing in a couple spots. Not so much it took you out of the story mind you. Such a gigantic, huge, very big departure from the world building optimism of his past stories. It's a smaller story, fewer characters, and the conclusions they come to are kind of sad. Great story. Very thought provoking. Not your typical journey to the stars. A much more realistic and encompassing study of what a multi generational starship journey would be like. In many ways sad but ultimately heroic and uplifting. The message seems to be that people should not get so caught up in the pursuit of grand ideas or ideals but should stop and take time to smell the roses.